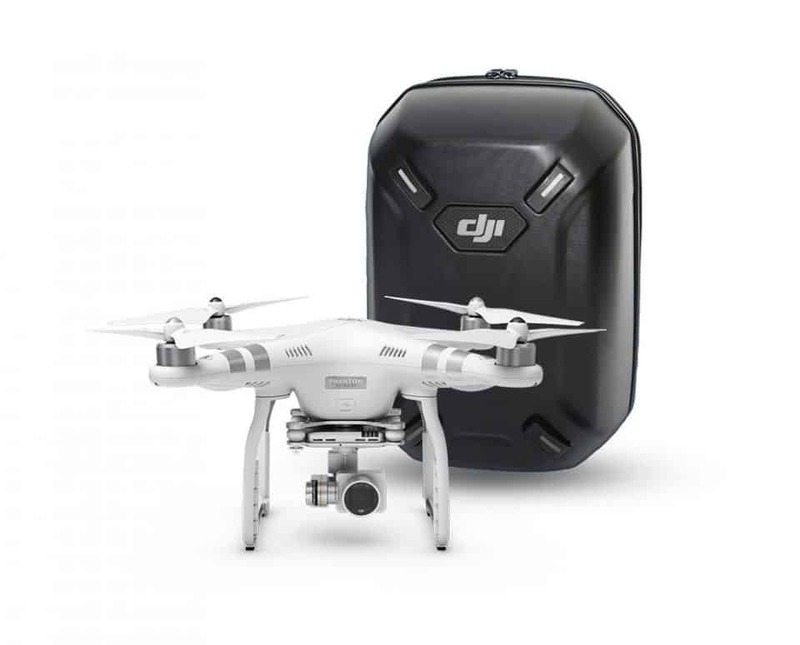 The Phantom 3 Advanced Quadcopter with 2.7k camera system is a Ready-To-Fly quadcopter, and it comes with all you need to get you in the air right out of the box (Backpack is included, see pictures). 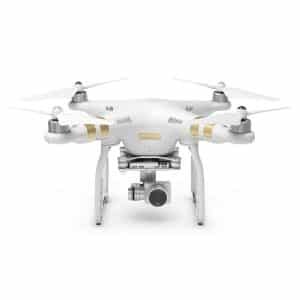 Phantom 3 Advanced comes with a flight battery, charger, and pre-bound handheld radio transmitter (controller), 16GB microSD card. 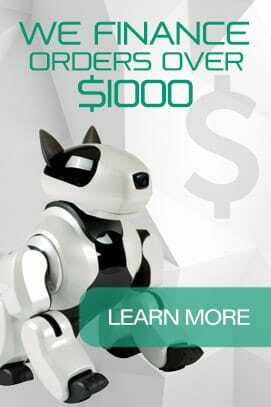 Depending on you application, you may also require additional memory cards, additional flight batteries, and a mobile device to access the app, and possibly other accessories. A complete 2.7K camera and 3-axis gimbal system come integrated with the Phantom 3 Advanced Quadcopter. 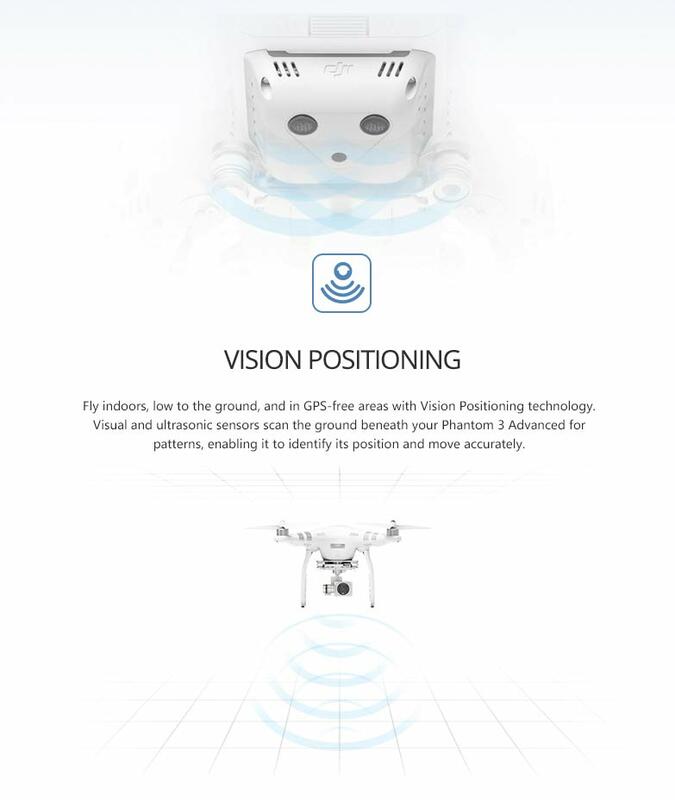 In addition, Phantom\’s camera is capable shooting up to 12MP still photos using JPEG or non-proprietary DNG RAW format. The three axes of the gimbal give you pan and tilt control, and keep the horizon line level even as the aircraft banks. Different gimbal settings allow the camera to lock onto a fixed subject, be moved manually using transmitter rotaries or the app, or to simply provide camera stabilization. NOTE: Number of important compass and GPS calibration steps must be done prior to flight, to ensure that the flight control computer operates correctly. Please refer to the manual or Quick Start Guide before your first flight. Your Phantom 3 fits into your life and makes flying remarkably intuitive and easy. From takeoff to landing, it\’s completely under your control, responding to your commands while automatically handling the most complex aspects of safe, stable flight. Never lose track of your Phantom 3. 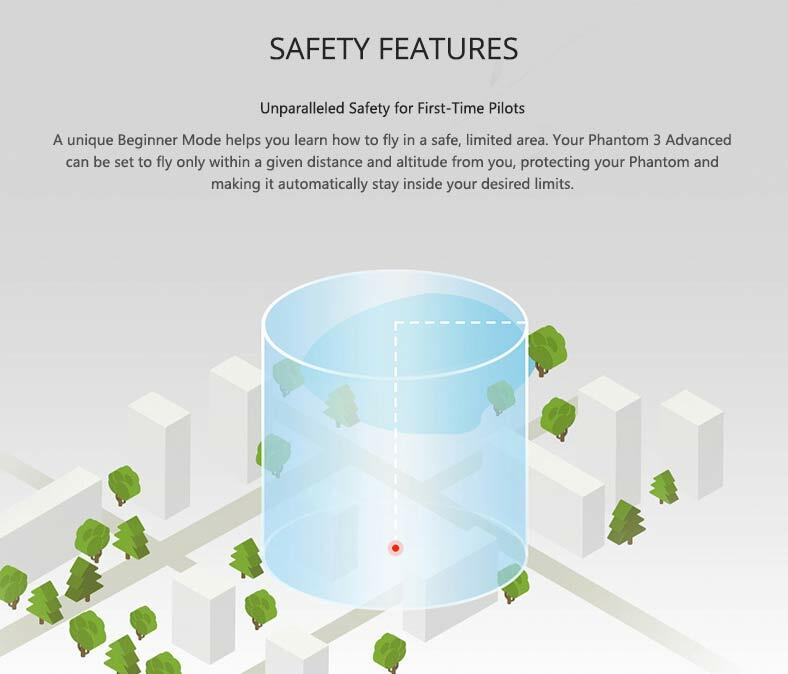 GPS and GLONASS combine to make the Phantom 3 completely aware of its location and relation to you. It hovers more precisely, moves more accurately, and locks onto satellites faster. With the new availability of GLONASS, a minimum of 36 satellites are available to you around the world at any time. Through the DJI GO app, you can track its location on a live map, and record your takeoff point so you can bring it back to you with the tap of a finger. Your Phantom 3 literally helps you fly. It processes information from every sensor and completes complex calculations in real time, giving you a worry-free flight experience. 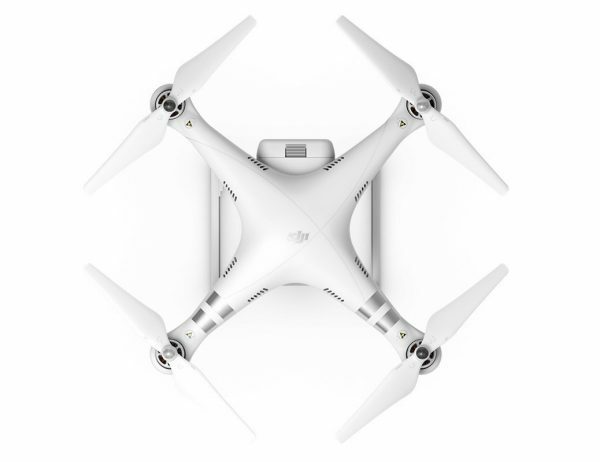 Your Phantom 3 automatically logs and remembers the details of every flight you take. Complete flight route, flight time, flight distance, flight location, and cached versions of any photos and videos you took during your flight are at your fingertips for future reference. At the same time, an advanced flight recorder constantly records data from all of your Phantom 3’s internal mechanisms, which can be easily shared with the DJI support team if you ever have any questions or issues. Higher voltage, more energy, and greater power combine to give you a vastly improved flight experience. 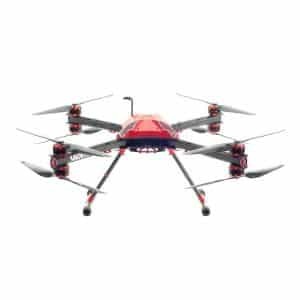 This upgraded Intelligent Flight Battery has built-in sensors and bright LEDs that let you know the status and remaining power of your battery in real time. Your Phantom 3 continuously calculates its current distance from you and the amount of power needed to return, so you always know how long you can continue flying and when it is time to recharge. Each motor has the power and precision needed to give you the best flight experience possible. Brushless motors work with lightning-fast ESCs to make your Phantom 3 fast, agile, and responsive. These powerful motors give you the ability to speed up, quickly increase or decrease altitude, and stop immediately. 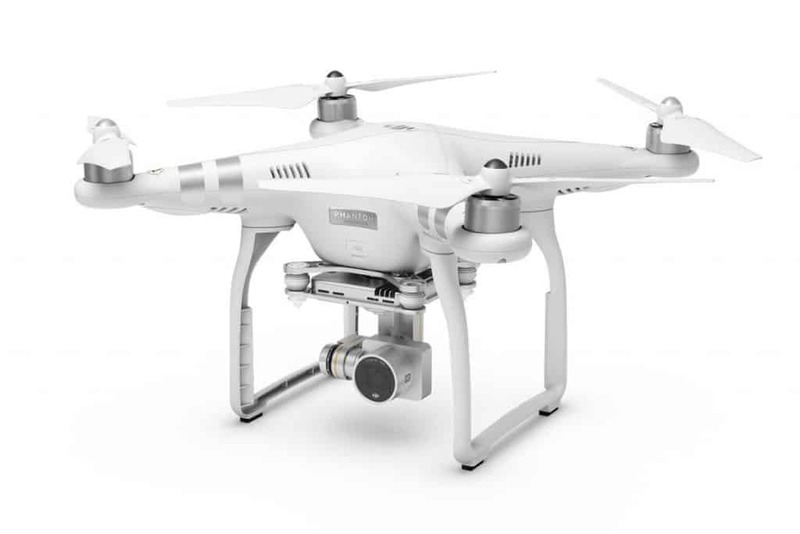 DJI’s powerful air braking mechanisms stop your Phantom 3 instantly , making it hover in place as soon as you release the control sticks. Aerodynamic self-tightening propellers boost thrust and stay firmly in place no matter how you fly. Orders your Phantom 3 to stop and hover in place when you release the control sticks. Allows customized control settings to fit your preferences. 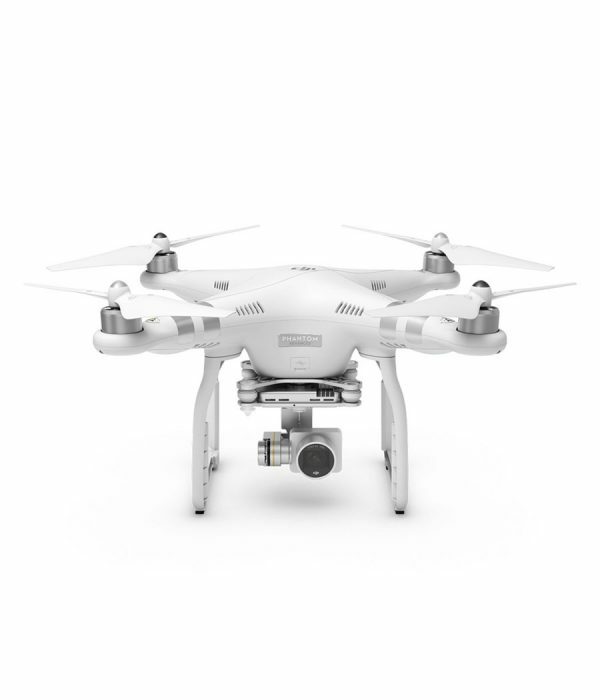 Enables your Phantom 3 to return to you whenever needed. Processing and analyzing flight data in real time takes serious power. 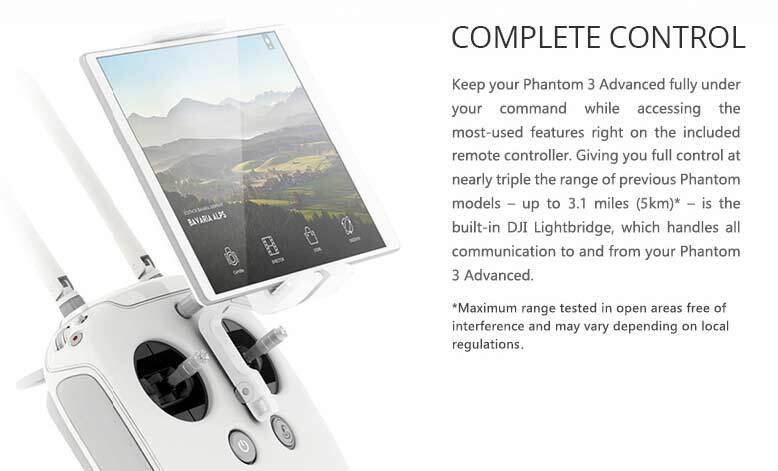 The Main Controller is the control center of your Phantom 3. It collects data from the entire system, including motor speed, GPS location, your command inputs, and data from automatic sensors, and analyzes it all to tell your Phantom 3 exactly how to behave at any given moment. 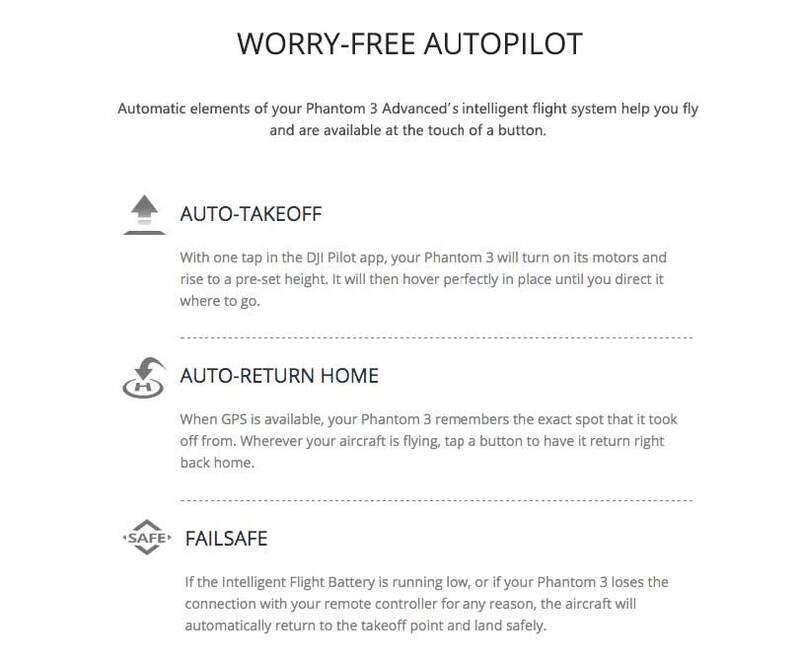 Bringing your Phantom 3 back to you is as simple as pressing a button on the remote or within the Pilot app. 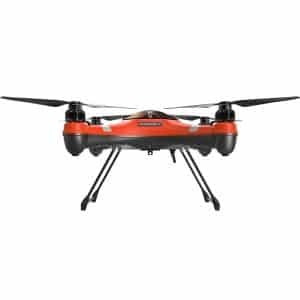 Your system automatically remembers the point at which it took off, and returns and lands safely at this point when you command it to Return to Home. With sensitive control sticks, dedicated buttons, and an over 3.1 mile (5km)* range, your customizable Phantom 3 remote controller gives you a completely new way to fly and interact with your Phantom. Ergonomically built to fit perfectly in your hands, your remote gives you the confidence to fly the way you want. 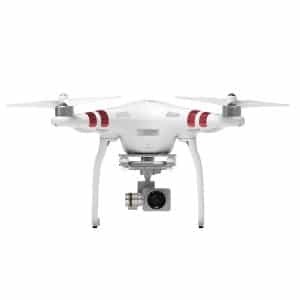 Controlling both your Phantom 3’s flight path and the included camera feels simple and natural. 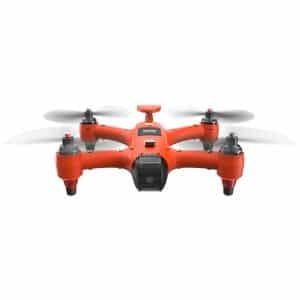 This advanced remote has been built from the ground up specifically for aerial photography: dedicated buttons let you take photos and video, tilt the camera, direct where your Phantom 3 flies, and bring it back to you at the press of a button. Enabling incredibly long range and live HD video stream from your camera, DJI Lightbridge is built into both the remote and the Phantom 3 itself. These two parts work in tandem to ensure a continuous link between you and your Phantom 3. Powerful communication signals slice through most environmental interference, giving you precise, full control and information from the aircraft at amazing distances. The f/2.8 lens has a 94⁰ field of view, virtually eliminating unwanted distortion that may occur when shooting wide aerial views with other cameras. Securing and stabilizing your camera in place is DJI’s trusted aerial stabilization technology. 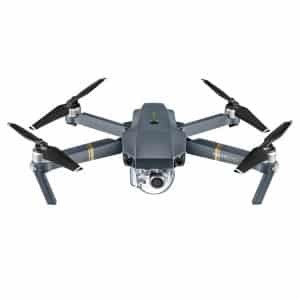 This 3-axis gimbal keeps your camera perfectly level in any flight conditions, resulting in beautiful, stable footage throughout every flight.